Judging from the not so exhaustive list above, it’s plain to see that it takes very little to deliver a good khutbah. On the other hand, there are many many ways to deliver bad khutbahs. The list for the qualities or characteristics of bad khutbahs can be much longer, but this should suffice in giving a general description. If you like, you can look at the Good qualities as being Halal, the Bad Qaulities as being Haram, and the Neutral qualities as being Makrooh. Perhaps that will help you think about them more clearly. In order to deliver a good khutbah, the khateeb must first and foremost have a solid understanding of what he would like to discuss. Secondly, the topic that is going to be discussed should not be so specific that it alienates a portion of the congregation. It should be universal in nature, although touching on specific points is acceptable. The khateeb should also be very confident in his ability to speak to a large audience. In this case, what helps is knowing your audience. Living in Chicago, you will come across very different types of congregations. In the northside of Chicago, you tend to have the same kind of people, a mixture of Desis and Arabs, with a smattering of East Africans and Balkan people, let’s of course not forget the growing number of converts, especially American converts. In the south side of the city you have mostly Arab congregations. You do have very homogeneous congregations that are neither Arab or Desi, but I will leave that to those mosques that cater to a specific ethnic group, my aim is to help the more diverse groups. Also, I believe it’s truly significant and important to define any and all Arabic phrases or words used during the khutbah, it will not only educate those that are unaware of the meaning (specifically converts and those that lack religious education), but will also serve as a good reminder for those that are already familiar with the words. It shouldn’t surprise people that for many, those Arabic phrases and words are only heard during a Jummah khutbah. Repetition in this case is a good thing. Lastly, the khutbah ought to inspire and uplift, it should encourage the younger worshippers and reaffirm the ideas of the older worshippers. If you are a young khateeb, it is good to appear humble in front of the congregation, especially if there are many older worshippers. If you are an older khateeb, 40+, I would hope you don’t need advice from me. It’s been my experience that typically, the older khateebs know what they are talking about, I am specifically referring to the American born and/or educated khateebs, they know the culture and can relate with the younger generation. Older immigrant khateebs tend to have much difficulty connecting and thereby lose the congregation’s attention. Well... Bad khutbahs are volatile in nature. They tend to not make sense. The khateeb will often attempt to string together multiple points and bring them full circle near the end of his khutbah, but this often fails simply because the points were not relevant to the jama’at or that the khateeb was speaking in a terrible accent that sounds worse than nails on a chalkboard. The khateeb tends to yell and shout, trying to add emphasis to his point, thinking the only way to do it is by increasing his volume. The khateeb gets political and starts slandering different nations and entire swaths of people. Basically, hate speech. Everyone is entitled to their opinions, but the khutbah is intended for the benefit of the jama’at, not the sounding board for the khateeb, it’s not a place for him to vent vehemently about the things that rile him up. Don’t waste our time. It’s sad to say, but for many Chicago Muslims, Jummah is the ONE time in the week that they make it to the mosque, who can blame them? So, with that in mind, shouldn’t the khateeb say something that will encourage them to return? These khateebs drive people away from the mosque rather than bring them in. What a waste. I don’t blame those Muslims who stop going to the mosque all together simply because of some radical spouting off his ideology about how all the Jews need to be killed. This is ridiculous, I am absolutely certain our Prophet (S) would not condone this behavior. Also, I understand that fundraising typically happens at the Jummah prayer, but if you make your entire khutbah about fund raising, you are turning me off from wanting to donate. This may not be the case for others, but I know it is for some. In my opinion, it’s best to mention any fund raising activities in the announcements proceeding the khutbah. I also truly dislike how some khateebs attempt to guilt people into donating, especially during Ramadan. Encourage people to donate, don’t guilt them. I am sure if I wanted to sell the khateeb something and kept pestering him to buy it from me because I think it will benefit him I am sure he would be thoroughly annoyed. Why shouldn’t he be? I am annoyed when the khateeb does that to me. Don’t do that please. The Golden Rule applies in Islam as well. There are just so many ways one can mess up the khutbah. Ironically, however, only a few things are necessary for a good khutbah. All one needs is practice. If, when starting out, you deliver a khutbah, the best thing to do is speak for no more than five or ten minutes, get your feet wet. I am sure there will even be some members of the congregation that will appreciate a shorter khutbah. You mustn’t forget that for many people working, they give up their 30-60 minute lunch to attend Jummah prayer, we need to be considerate of them as well. 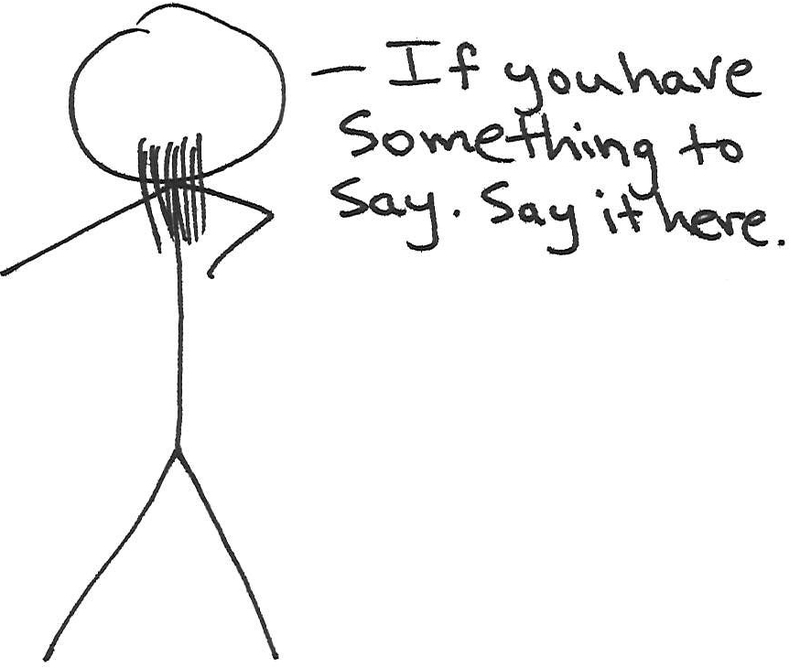 A good rule of thumb is to keep the khutbah simple. In the end, what is the purpose of the Jummah prayer? It is the weekly prayer with a mosque (hopefully) full of worshipers, it is the first step for many to make a regular appearance at the mosque, which gradually helps one build a desire to learn and understand more about their faith, which inevitably brings one closer to God. This is the typical modern day process, I am not ruling out other possibilities, just trying to keep it simple. Also, I would highly suggest for beginners to watch the multitude of khutbahs available on youtube, from renowned speakers like Shaykh Hamza Yusuf, Shaykh Omar Faruk Abdullah, Shaykh Yahya Rhodus, just to name a few.